In the first edition of El Gouna Film Festival, CineGouna Platform played a vital role in connecting female filmmakers and producers from the Arab world together and featured their projects to get the support they deserved. As part of our focus this year on women empowerment, we’re looking back, along with two of the emerging female filmmakers we had last year in CineGouna SpringBoard competition, at how their participation has changed them on both professional and personal levels. These female faces of CineGouna Platform are May Odeh and Cynthia Choucair. May Odeh, the Palestinian director and producer, participated last year with her project in development “200 Meters”, which is now in the budgeting phase and is planned to start shooting by the beginning of next year. 200 Meters joined Torino Film Festival and Thessaloniki Film Festival, winning two awards; in addition to Cannes Film Festival, which her project joined after CineGouna Platform connected it with IEFTA that believed in the film and decided to help it join Cannes. 200 Meters has also participated at the Berlinale Talents and attended the Mediterranean Film Institute’s writing workshop (Script 2 Film Workshop). May has lately been working on a short film called "Maradona's Legs" and three other movies. “CineGouna Platform was a great meeting point for me on different levels, not only as producer for the project but also as a distributor, because I'm one of the few distributors in Palestine and during my panel discussion at CineGouna SpringBoard, I met Safi Al Deen from Red Star Production Company, and we have established a partnership to distribute Egyptian films in Palestine, as well as Mohamed Hefzy that I took Sheikh Jackson from and distributed in Palestine. Also, I met Michael from a Danish institute, now we are working with them to fund our next mobile cinema,” May said. May advises CineGouna SpringBoard’18 participants to break a leg, use all the connections El Gouna Film Festival provides them with; and do their best to network with all the great people that CineGouna Platform gathers. Finally, she hopes to be a participant this year again, since she thinks CineGouna Platform isn’t something to be missed as a filmmaker. We can’t also forget Cynthia Choucair, the Lebanese director, who participated last year with her film in post-production “Counting Tiles”. Cynthia is now done with her film, which competed in the International Film Festival Rotterdam’s Bright Future section, participated in Sheffield Doc/Fest, is participating in Guanajuato Film Festival in Mexico, and will compete in FIDBA Documentary Film Festival in Argentina in September. Currently, Cynthia is working on a new documentary called “We Are Inside” by Farah Kassem as a producer. “GFF played a positive role in my film. The film was in the post-production phase and I was able to meet festival programmers. This is how it was chosen by the festival director of the IFFR in Rotterdam, Bero Beyer. It was a great start,” Cynthia said. Cynthia is grateful for her experience last year in GFF through CineGouna Platform, which gave her the opportunity to meet many decision makers in the film industry. 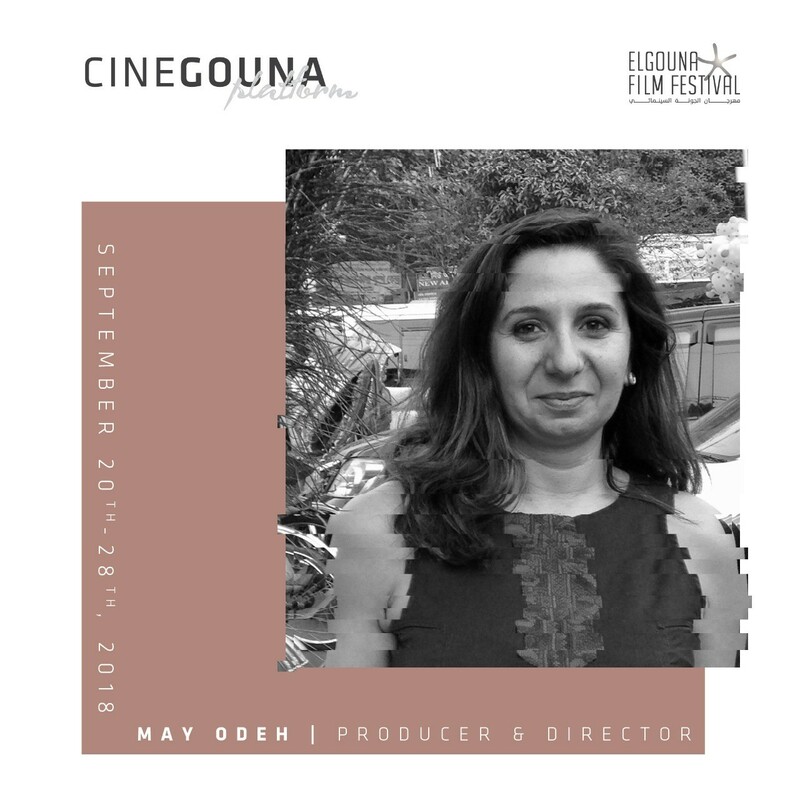 After going on a hard adventure of making a film alone and investing a lot in the shooting and the editing, she believes that CineGouna Platform was the source of energy that gave her a push to continue. Her advice to the CineGouna SpringBoard participants this year is to work hard on their dossiers and prepare well for the pitching. The role of women in the film industry has been and will always be crucial to its success. But there has to be a way paved to empower more and more women to prove themselves in the field. GFF is looking forward to creating more success stories and empowering more women at each edition.